Blog > How To > Cancel Council Tax When Moving House – What to Do? Who to Inform? As if moving house is not stressful enough, you have to deal with council tax too! Your to-do list is long enough and more tasks just keep showing up. This should be your top priority. Informing your local authorities of the move will save you money in the long run. The reality is that if you are an adult who isn't covered by a tax relief, you have to pay your council a tax. And with relocating your home, you will have to inform your council as well. Luckily, it's not as difficult as it sounds. You have to do it a few weeks before your actual move to prevent any issues that might cost you a lot. And as a removals company, we can give you some guiding tips on how to ease the process. How to Cancel Your Council Tax When Moving House? Whether you are renting the house that you currently live in and moving to your own new home, or to another accommodation, you have to inform the proper authorities. There are a few problems that can occur if you don't deal with this issue on time, however, nothing is irreversible. It is important to know where and when you are relocating so you can inform the council on time. To avoid the mayhem of administrative work and long queues, start ahead of time. Go to your local authorities and report where from and where to you will be moving. Depending on the waiting list, it can take up to several weeks to process your application. That is why it is important to do this at least a month before you move out of your home. That way you are not obligated to pay for a house you no longer live in. If you will still be in the same administrative area, the process might be easier. But if you are relocating to another district, you will have to call their local authorities and have a new account created and your old one cancelled. 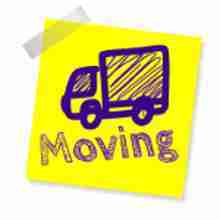 It is very important to remember to contact the two local councils and inform them about the moving. Otherwise, you risk having to pay two taxes. When your moving out day approaches you will receive the last bill for your old home. How to Change Your Council Tax When You Move? Council tax is not paid by full-time university students, people on benefits or under special circumstances. There are also certain types of properties that are exempt from the tax. Visit your local council’s website for more information. If this is your first time paying, you can do so at your local authorities. Visit the council of the area you are moving to and they will set up your account. After you've moved, you'll receive the new bill and information when and how to pay it. * If the band of your property is unclear or there isn't enough information, they may appoint a tax band assessment from the Valuation Office Agency. They will evaluate your new home and determine how much the tax will be. What is more, you will need to specify if you will be making any changes to your old property (if it's owned by you) or your new property. Your name and telephone number for contact. The address you are moving to/from. An existing account number, if you have one. The date of your move. If you are a tenant, the end date of your tenancy. Whether the property is unfurnished or furnished. The date of moving furniture in or out. Names and address of any solicitors acting on your behalf. The name of the owner of the property or the name and address of the landlord/agent, you were renting from. When you are moving from one administrative area to another and forget to inform the authorities, you may receive two bills. If you have moved and the taxes overlap, you must contact the council from which you’ve moved out. Explain your situation, inform them that you weren't living in the property. They should be able to fix the problem. However, if you own the house you are moving out of and you leave it empty, you will have to pay up to 50% of the tax for the empty property. The people living in a property are responsible for the tax. If there is a tenancy agreement, in most cases the tenant is the person responsible as s/he is the ones living there. When the lease expires, the responsibility is transferred to the landlord of the property. Are You Eligible to Receive a Tax Reduction? The amount you pay depends on the type and value of your property and your living situation. Things such as children, marital status, etc are being taken into account, as well as your income, ownership of the house, pensions, and other adults living with you, etc. Visit your local council’s site for more information about tax support. Who Else to Inform When You Move? Redirect your post. You should do this as soon as you know that you will be moving and know your new address. Redirecting your post can take some time and you might miss important letters sent to your old address. All utilities: water authority, electricity provider, gas provider. Other home services: TV, broadband, phone,etc. Cancel subscriptions, change plans and contracts. Be sure to give them at least 31 days notice. Tell the right people at work. There will be changes in your personal information and they should know it. Q: What happens to council tax when you move? A: If you have stated your moving homes on time, the council tax for your old address will be cancelled on time, i.e. the moment you leave the property you will no longer be responsible for the tax. The next tenant/homeowner will be responsible for it. Q: How much notice to give council tax when moving? A: Go to your local council at least a month before you plan to move out of the property. Otherwise, you might be obliged to pay more tax for a period that you will not be inhabiting the property. Q: How much council tax will I pay? A: You should pay the council tax for the last month that you've lived in the property prior to your move. However, if you don't tell the council that you are moving, you might have to pay the tax until you prove you no longer live in the property. Q: When do I start paying tax on the new property? A: You should inform the council that you are moving TO of the move, and state the day of your moving in. From the day you move in the council tax is your responsibility. How to combat moving anxiety? Packing tips for moving house you must read!